A drought destroys all the crops that Sadie’s father has planted except for the sweet potatoes. Although he is hardworking, Papa worries when a note from the bank arrives threatening to take away the farm if he doesn’t pay back the money he has borrowed. Mama says she will make sweet potato pies and sell them at the upcoming Harvest Celebration. Everyone helps, and not only do the pies win a blue ribbon, but the family takes many orders for more pies. With the money they make, they are able to save the farm. This fictional story is set in the South in the 1920s. The idea for the book Sweet Potato Pie came from author Kathleen Lindsey’s own experience baking and selling her sweet potato pies using an old family recipe that had been passed down for generations. Says the author, “In the fall, when sweet potatoes were plentiful, the children and I would go into the fields and gather the leftovers that the farmers could not use. Then we worked together, baking pies to sell for extra money when times got tough.” Like Sadie and her family, Lindsey sold her pies at a community event. Teaching Tip Sweet Potato Pie would be a good addition to a fall unit on harvest celebrations around the world. What are some good things about rain? How does a rainy day affect you? Why do you think rain matters to farmers? Have you ever grown or helped someone grow vegetables? What were some of the things you had to do? Why do you think people help one another? What are some ways families work together? What are your favorite foods? Why do you like them?5. What is a harvest celebration? Why do you think people like to celebrate a harvest? Read the title of the book. Then open the book so students can see the entire front and back cover illustration. Ask students what they think is happening with the sweet potato pies. What do they think the story is about? Who is the author? Who is the illustrator? Find the dedications. Why do you think people have dedications in a book? * What do you see on the last page? Why do you think the recipe is included? Have students read to find out why sweet potatoes are so important to the members of the family in this book. Let students work with partners to complete webs like the one shown here. Post the webs so others groups in the class can have access to them. How does a drought cause financial problems for farmers? Why is Papa worried? What is he afraid will happen? What does Mama do when the family has problems? How do you think that might be helpful? What is Mama’s grand idea? How does everyone in the family help? What problems does Sadie have? How do Jack and Sadie try to trick Rastus? Why isn’t it a good idea for Jake to take a shortcut with Nanny? Why does the band cause a problem for the family? How do Jake and Sadie solve the problem? What kind of person is Mama? How does she act when things go wrong? How do you know she plans ahead? How would you describe Sadie? Why do you think she has so many mishaps? How would you describe Sadie’s family? Why does Papa enter one of Mama’s pies in the contest? How does winning first prize help the family? Why does Papa buy a new china set? How does the family’s success at the Harvest Celebration make a difference all year? Why do you think the author chose to have Sadie tell the story? How might the story been different if Papa told it? If Mama told it? If one of the other children told tell it? The Passage Locator might look for passages that describe the different problems the family faces. The Illustrator might draw pictures to illustrate each step in making a sweet potato pie. The Connector might find other stories about family life. The Summarizer might provide a brief summary of the main characters in the book and describe the kind of person he or she is. The Investigator might look for information about growing sweet potatoes. How does this story celebrate families? In this story, the sweet potato pie is a comfort food that Mama serves when there is a problem or a celebration. What foods comfort you? Who makes them? When do you eat them?3. Compare making a sweet potato pie in the book with how people would make one today. How would collecting the ingredients differ? How would mixing the ingredients differ? What parts of these processes would be the same? Study the illustrations of the Harvest Celebration. How does the artist show the excitement? The sounds? Smells? Tastes? Do you think it would be fun to be there? Why? Have students write a newspaper article about the Harvest Celebration and the winner of the pie contest. The family in this story succeeds because the members work together. What are some ways you work with others? Why is it important to do this? Have students write an ad that Mama can use to sell her pies. In the book, Sadie’s family sells sweet potato pies at a local Harvest Celebration. Discuss when and why communities hold these events and then have students do research to learn about harvest festivals (including Thanksgiving) in the United States and around the world. Remind students that state fairs often coincide with harvest time. Have students create presentations of their findings. What kinds of conditions cause drought? What kinds of damage do droughts cause? How do people manage during droughts? Bring in sweet potatoes for students to study. Help students discover information such as how sweet potatoes grow, what part of the plant people eat, the nutritional value of sweet potatoes, and states that are the leading growers. If possible, prepare at home or enlist parents to prepare the pie in the recipe in the book or other sweet potato dishes for students to taste. Use the financial plight of Papa—an overdue mortgage on the farm— to teach a mini lesson on finances. 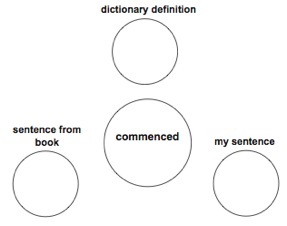 Discuss and define terms from the book such as note, owed, borrowed, selling, collected, order. Suggest that students make their own drawings for quilt designs based on a favorite book. Kathleen D. Lindsey wanted to be a writer from the time she was a child. She says, “When I was four years old, my Mom would give me old junk mail to keep me quiet, especially in church. I would scribble on every inch of those papers, pretending I was a great writer. Then I had to read it to someone that had the time to listen. That was the hard part!” Lindsey combines her talents in quilting and storytelling with an interest in African American history and literacy for young children. She won the New Jersey General Assembly Award for “A Stitch in Time,” a performance highlighting the history of African Americans before and after the Civil War. Charlotte Riley-Webb was born in Atlanta, but moved as a child to Cleveland where she earned a BFA from the Cleveland Institute of Art. She is also the illustrator of Lee & Low’s Rent Party Jazz, a Notable Social Studies Trade Book for Young People. Her fine art has been shown in major exhibitions around the United States and in many other nations as well. In addition to painting and illustrating, she has written and acted in several stage productions.